Designed with perfection and finesse, Breeze Art & Boutique Hotel becomes more than just a place to stay on your short trip to Bandung. The emergence of hotels, starred or boutique, has become the highlight of Bandung’s rapid development in tourism at least for the past ten years. Now, the city becomes a popular short vacation destination for weekenders and that leaves us all with the ultimate questions regarding what is the best course of action in such short period and the best place to stay for that. Ostensibly nowadays, people often consider retreating to the countryside up on the northern part of the city as a good alternative. Some fresh air, great spots to visit for naturalists, and without losing the opportunity to have good food in-between are the charms everyone is hoping from when visiting Lembang, Maribaya, to as far as Mount Tangkubanperahu. Even the area around Lembang Fault has specific attractions waiting to be discovered by the weekend escapists. That is exactly why Breeze Art & Boutique Hotel serves perfectly as a starting point for the uphill explorers. Located inside the pristine neighborhood of Pondok Hijau Permai, it is situated conveniently right before the doorway to Lembang through the Cihideung region but still quite nearby to the main toll road and the city itself. It is practically a win-win solution for the urbanites who might still have a wish to scour the city for oleh-oleh. Designed by Asia’s premier architect, Mr Tan Tjiang Ay, Breeze may seem very straightforward but it’s all about perfection in every angle and its utilization of every corner. Mr Tan Tjiang Ay’s finesse in modular architecture leaves no room for excesses and thus earned him the status as “reductionist” instead of mere minimalistic. As a result, Breeze is a work of magic. Mr Tan’s brilliance can be matched evenly by the hotel owner’s flair in interior design and the use of art to elevate the esthetic aspects as well as creating a showcase of his collections. While commissioning the work for prominent ceramist F. Widyanto and painters like I Wayan Karja to fill in the gaps, Breeze is also well-equipped with superior quality furniture that suits well with the overall appearance of the hotel, inside and out. With utmost attention given to service and maintenance, every part of the hotel was immaculate. 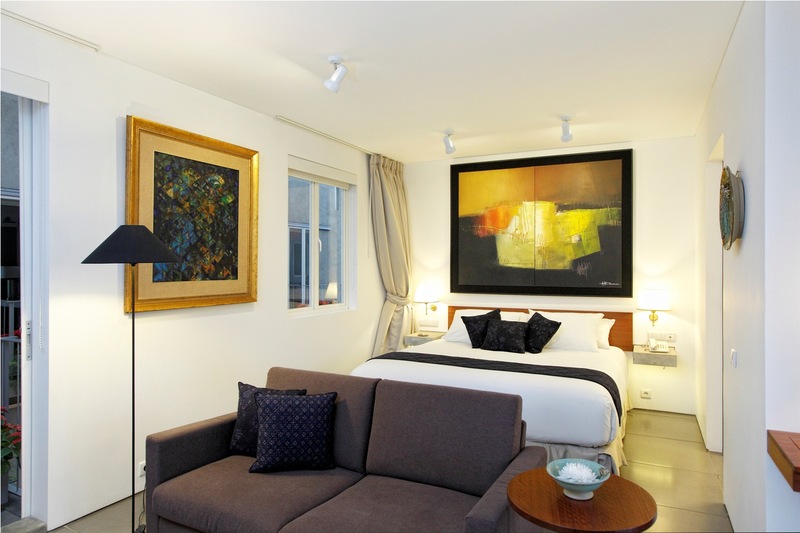 For a 12 roomer hotel like this, Breeze offers not just as its romantic atmosphere, breezy airflow in every corner that you’re passing through, and its art collection, but most of all, an ensured comfort for its guests. 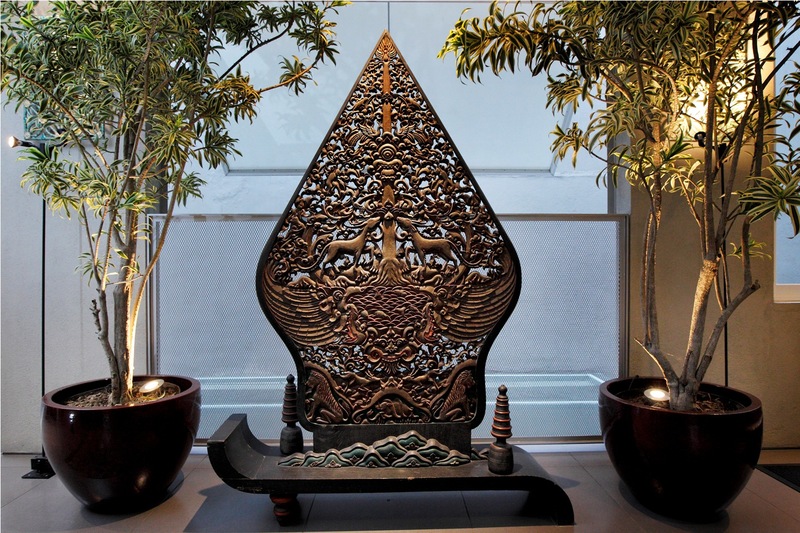 Further appreciation for art can also be experienced by the guests by having a small visit to “Griya Batik” on the lobby level, made as a memorial for Indonesia’s batik genius, Mr Go Tik Swan Panembahan Hardjonagoro. Here, you can shop the beautiful yet intricately painted batik worth its weight in gold. Additionally, The House of Poetry Without Words is also a must-visit for anyone who stays here. 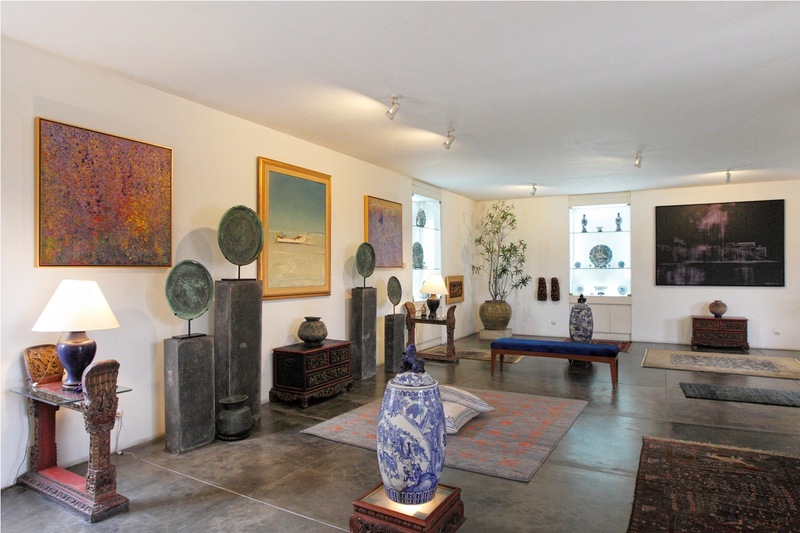 This culture house showcases extraordinary paintings by the maestro Srihadi Soedarsono and other Asian artworks made of porcelains, woodwork, and stone sculptures. Some even dated from hundreds of years ago and carefully collected since three decades ago. Breeze Art & Boutique Hotel is also not short of good offerings from the kitchen. Breakfast is made freshly upon request and comprises of intelligent creations rarely found in bijou hotels. In addition to that, the hotel provides the high tea time on every afternoon and personal transport by order. For this scale, Breeze transcends itself to a higher level where other boutique or starred hotels would be envy of. For a very friendly rate, Breeze opens its door with such a warm welcome to meet you on your romantic cruise around Bandung as well as a suitable place for workliday with your professional colleagues. Now, it’s your turn to visit.